This chapter serves as an introduction to Building a Smart Laboratory 2018. We hope to highlight the importance of adopting smart laboratory technology but also to guide users through some of the challenges and pitfalls when designing and running the latest technologies in the lab. For any laboratory a cost/benefit analysis needs to consider the functionality already provided by legacy applications – as well as business justifications. 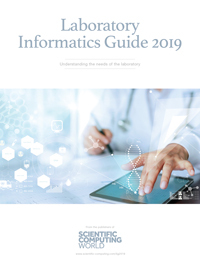 This guide will help you understand what informatics processes are needed in laboratories, and why the laboratory should not merely be seen as a necessary cost centre. Only by becoming smart – as this guide outlines – can lab managers change that mind-set and generate true value for their organisation. Many laboratory operations are still predominantly paper-based. Even with the enormous potential to reduce data integrity for compliance, to make global efficiency gains in manufacturing and to increase knowledge sharing, the barriers to implementing successful electronic integrated processes often remain a bridge too far. The journey starts with data capture, data processing, and laboratory automation. When samples are being analysed, several types of scientific data are being created. They can be categorised in three different classes. Raw data refers to all data on which decisions are based. Raw data is created in real-time from an instrument or in real-time from a sensor device. Metadata is ‘data about the data’ and it is used for cataloguing, describing, and tagging data resources. It adds basic information, knowledge, and meaning. Metadata helps organise electronic resources, provide digital identification, and helps support archiving and preservation of the resource. Secondary or processed data describes how raw data is transformed by using scientific methodologies to create results. To maintain data integrity, altering methods to reprocess will require a secured audit trail functionality, data and access security. If metadata is not captured, the ability to find and re-use previous knowledge from scientific experiments is eliminated. Data-intensive science is becoming far more mainstream; however, going digital in the laboratory has been a relatively slow process. More than 75 per cent of laboratory analysis starts with a manual process such as weighing; the majority of results of these measurements are still written down or re-typed. There are exceptions: probably the best example of integrated laboratory automation can be found in how chromatography data handling systems (CDS) operate in modern laboratories. The characteristics of such a system include repeatable, often standardised, automated processes that create a significant amount of raw and processed data. The paper versus paperless discussion is as old as the existence of commercial computers. In the 1970s, just after the introduction of the first personal computer, Scelbi (Scientific, Electronic and Biological), Business Week predicted that computer records would soon completely replace paper. It took at least 35 years before paperless operations were accepted and successfully adopted in many work operations. Although they have been accepted in banking, airlines, healthcare, and retail, they lag behind in science. The journey from paper to electronic begins with the transition from paper to digital, which includes both the transfer of paper-based processes to ‘glass’ and the identification and adoption of information and process standards to harmonise data exchange. Traditional mainstream LIMS will face challenges. LIMS has been a brilliant tool to manage predictable, repeatable planned sample, test and study data flows, creating structured data generated by laboratories. 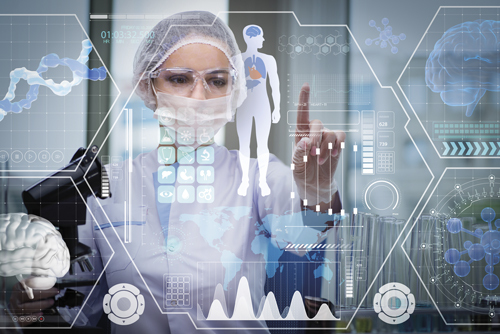 In R&D environments, unpredictable workflows creating massive amounts of unstructured data showed that current LIMS systems lack the capability effectively to manage this throughput. ELNs are great tools to capture and share complex scientific experiments, while an underlying scientific data management system (SDMS) is used to manage large volumes of data seamlessly. For the researcher, the ability to record data, make observations, describe procedures, include images, drawings and diagrams and collaborate with others to find chemical compounds, biological structures – without any limitation – requires a flexible user interface. For the QA/QC analyst or operator, the requirements for an integrated laboratory are quite different. A simple, natural language-based platform to ensure that proper procedures are followed will be well received. Product innovation and formulators will need the capability to mine data across projects, analytical methods or formulations to create valuable insights. Transforming unstructured scientific experimental data into a structured equivalent will be mandatory to perform these tasks. Organisations with a strong consumer marketing focus deal with data mining techniques providing clear pictures of products sold, price, competition and customer demographics. The scientist is no longer in the laboratory, but integrated in the overall quality process. Quality should be built into the design throughout the specification, design, and verification process. Performance metrics on non-conformance tracking are mandated and monitored by regulatory authorities. Integrating laboratory systems will add significant value by decreasing non-conformance. Managing operating budgets will be redefined in the next decade. The days of purchasing software as a capital investment (CAPEX) are changing to a new model based upon a ‘pay-as-you-go’ or philosophy (OPEX). CRM applications such as SalesForce.com started this business model in the traditional enterprise business software segment. Popular applications such as Photoshop, Microsoft Office 365 and Amazon are following these trends rapidly. It is expected that scientific software suppliers will be forced to follow the same model in the years to come. Community collaboration and social networking is changing the value of traditional vendor help desks. The need to simplify our scientific processes will have a significant impact on reducing data integrity challenges. For example, balance and titrator instruments may store approved and pre-validated methods and industry best practice workflows in their firmware. Initiatives such as the Allotrope Foundation are working hard to apply common standards. The Allotrope Foundation is an international not-for-profit association of biotech and pharmaceutical companies, building a common laboratory information framework for an interoperable means of generating, storing, retrieving, transmitting, analysing and archiving laboratory data and higher-level business objects. Most laboratories already depend on an informatics hub comprising one or more of the major tools: laboratory information management systems (LIMS); electronic laboratory notebooks (ELN); scientific data management systems (SDMS); chromatography data-handling systems (CDS) and laboratory execution systems (LES). The trend over recent years has been towards convergence, applying best practice industry standard processes to harmonise multisite deployments. Cost reduction to interface harmonised processes to ERP (SAP), MES and CAPA results in lower maintenance and validation costs with a significant overall higher system availability for end-users. While many other industries are implementing modern tools to connect equipment wirelessly, many laboratories still write scientific results on a piece of paper, or re-type them into a computer or tablet. Many modern ELN and LES systems allow electronic connection to a (wireless) network. However, to integrate simple instruments like a pH balance, titration and Karl-Fischer instruments to mobile devices, a simpler approach is required in order to achieve mainstream adoption. The acceptance of tablets and mobile devices will expand exponentially in the laboratory. Laboratories will need to manage the challenges presented by new consumers of scientific data outside traditional laboratory operations. Non-invasive, end-to-end strategies will connect science to operational excellence. Technology will be critical, but our ability to change our mind-set to enable this cross-functional collaboration will be the real challenge. Much of the change that drives new processes or methods in the laboratory is based on regulation from that aims to more tightly control the way in which data is collected, stored and handled. Many laboratory users will be aware of previous regulations such as Title 21 CFR Part 11, part of Title 21 of the Code of Federal Regulations that establishes the United States Food and Drug Administration (FDA) regulations on electronic records and electronic signatures (ERES). Part 11, of the document, as it is commonly called, defines the criteria under which electronic records and electronic signatures are considered trustworthy and equivalent to paper records. In addition to GDPR lab managers must also familiarise themselves with pending regulation on Data Integrity (DI) which hopes to improve completeness, consistency, and accuracy of data recorded by laboratories . In simple terms this means abiding by principles such as ALCOA (attributable, legible, contemporaneous, original, and accurate). However it is advised that lab managers and users explore the ramifications of this new regulation to see how it might affect daily workflows.